We found and refurbished some great pieces this week. Here are a few highlights. 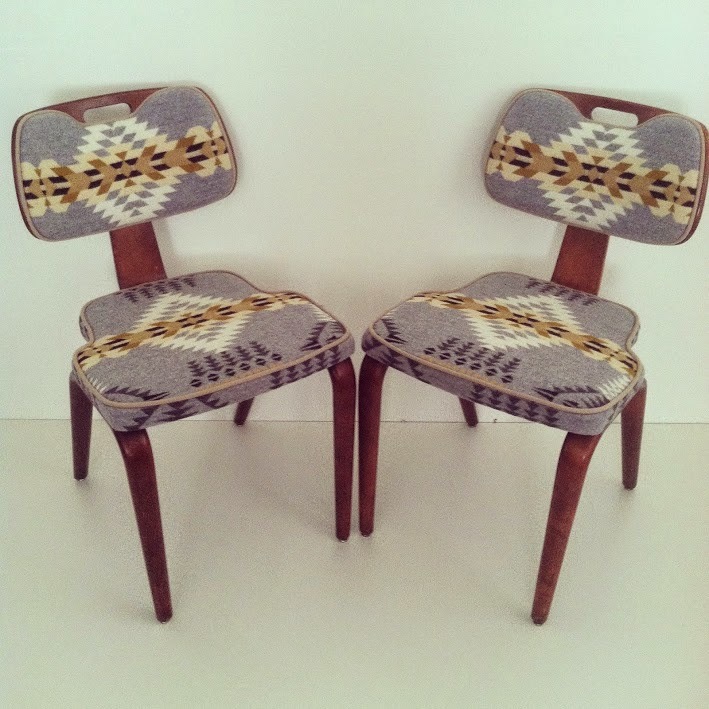 Pair of bentwood Thonet side chairs reupholstered in Pendleton wool (sold). Very rare easy chair by Ejvind A. Johansson for Godtfred H. Petersen. Now available at Hawthorne Vintage. Walnut credenza on hairpin legs. Sold. So many beautiful chairs!! Does House Beautiful do this with other home products too? Great idea! !